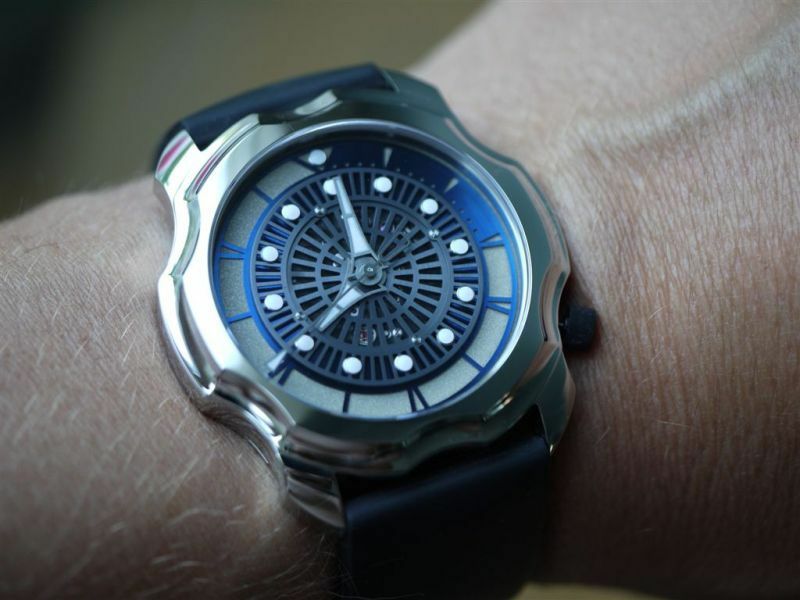 We show you new photos of Sarpaneva’s prototype dive watch, the Korona K0. 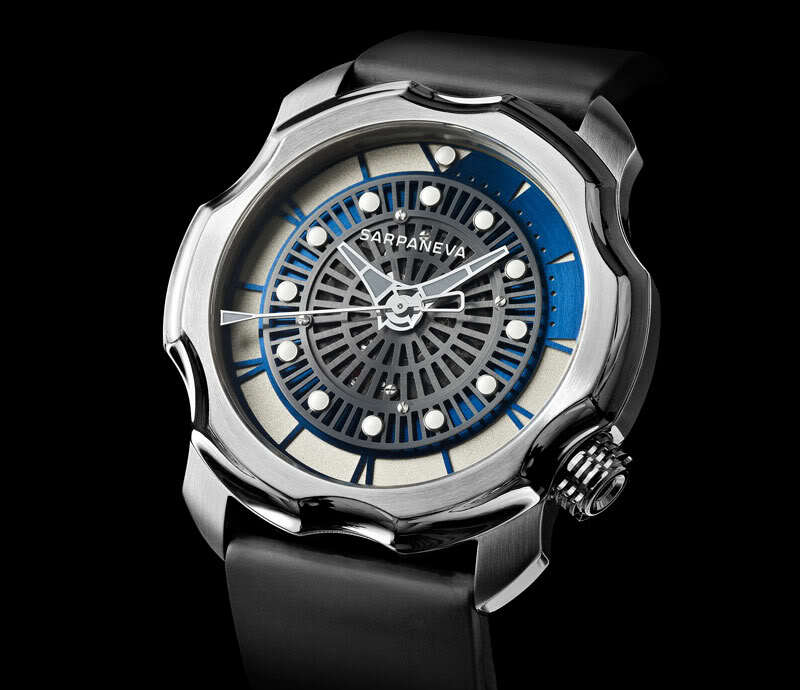 Since Baselworld 2010 Stepan Sarpaneva, an independent watchmaker from Finland, plays with ideas to make a dive watch based on his Korona collection. 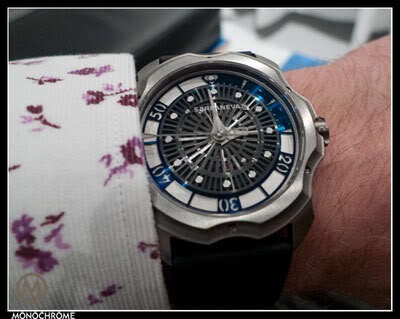 We showed you photos of an earlier prototype that was executed in titanium. 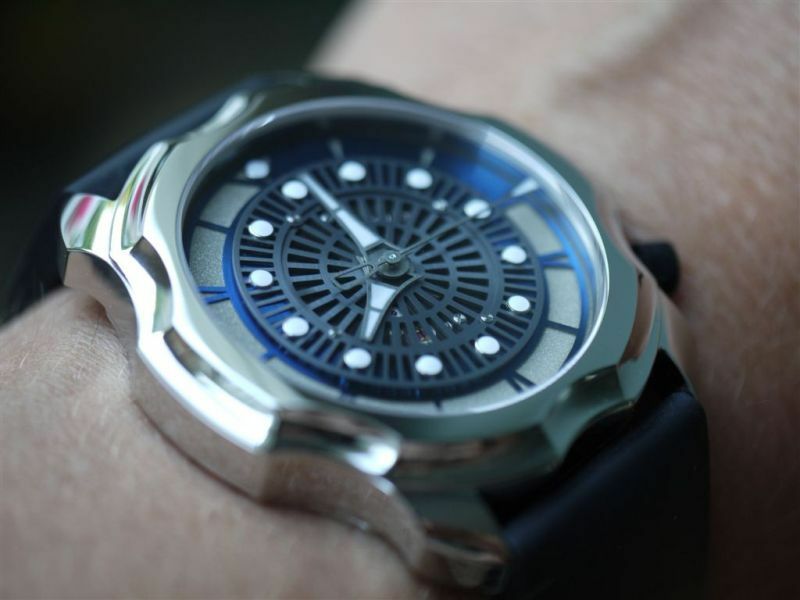 The newest prototype is made in stainless steel and measures 46mm in diameter and is 11.5 mm thick. 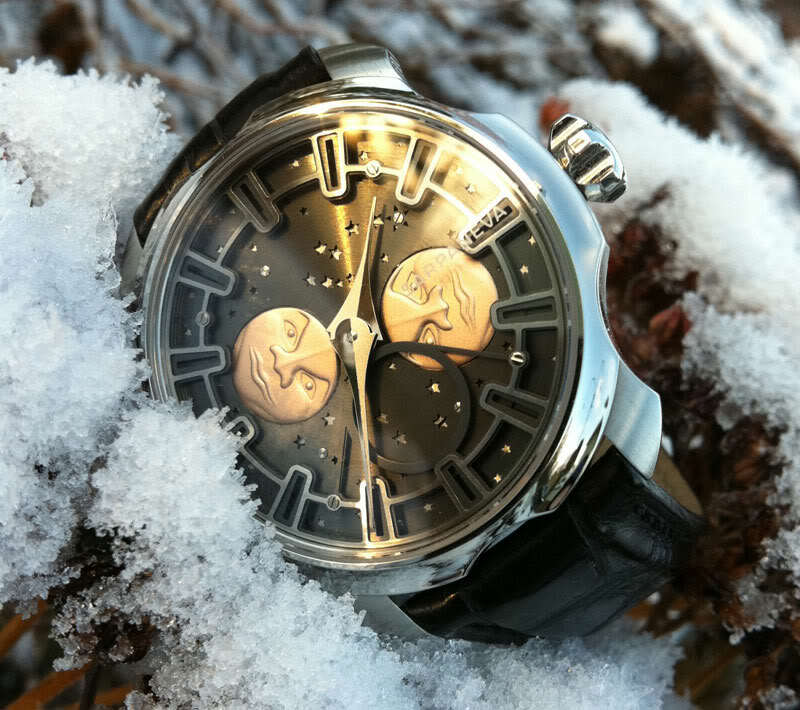 The crown has moved from the 3 o’clock position to the 4 o’clock position. 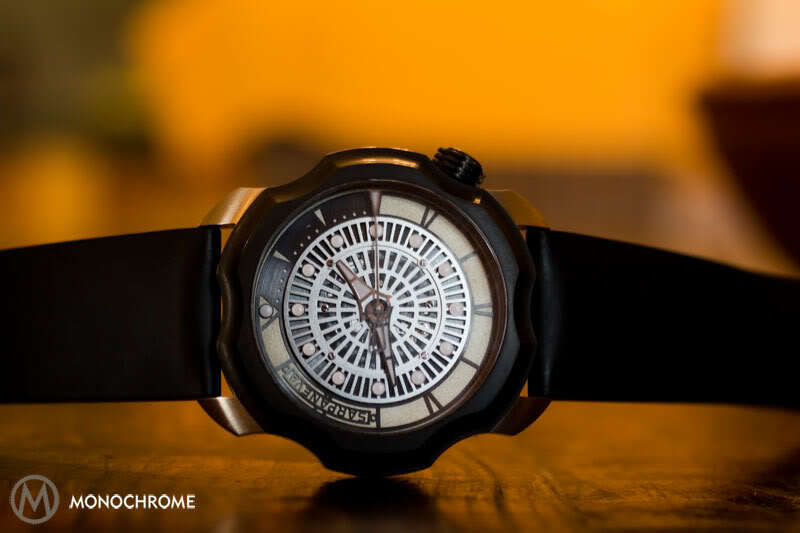 The crown on the photo is not the final crown to be on the Korona K0! 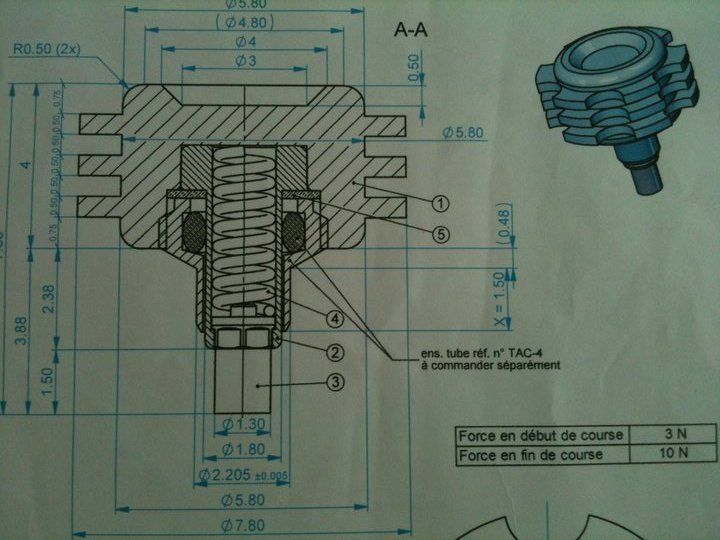 Technical drawings of the new crown can be seen below. Now that looks promising! 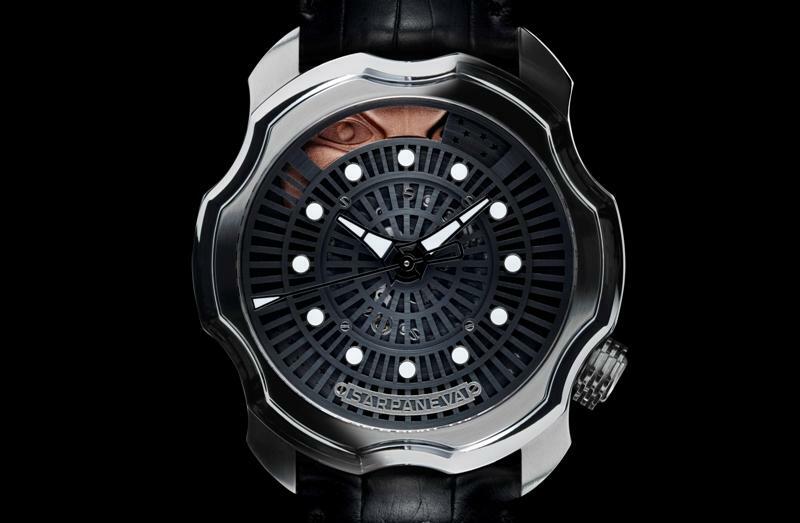 And Sarpaneva says the new crown is water resistant up to 300 meters, which makes it possible to take the Korona K0 for some serious deep sea diving. Stay tuned via Sarpaneva’s Facebook page. Got mine today. Can’t leave my eyes of it..
Congrats Trillian! I guess you could well be the first to get his Korona K0.